GT_PLANARPOLY (GeoTools -> Drawing Cleanup -> Make polylines/3dfaces planar): The GT_PLANARPOLY command is used to make a polyline or 3dface planar. A planar polyline or 3dface is one in which all the vertices can be placed on a single plane. Generally, this is possible only if all the vertices have the same elevation or, in the special case of a 4-vertex polyline, the polyline can be considered planar if two pairs of adjacent vertices have the same elevation. The GT_PLANARPOLY command makes this happen by setting the elevations of adjacent vertices same if they are within a specified tolerance. The need to create perfectly planar polylines or 3dfaces is often required and useful in photogrammetry data capture and rendering applications. A couple of weeks back, we changed our credit card processing company from CCNow.com to CCAvenue.com . See post here. CCNow.com is based in the USA while CCAvenue.com is based in India, and has to follow the rules and regulations set by our central bank, Reserve Bank of India. Some of the new rules that are enforced by CCAvenue.com as part of the enhanced online security measures have resulted in some client orders being rejected, and has created confusion amongst everyone. Through this post, we attempt to clarify the issues that you need to be aware of before you place your order with us through our CCAvenue.com gateway. The first mandatory requirement for all Indian payment gateway orders to be processed successfully is that the card must be 3-D Secure. This means that you need an additional layer of authentication security which is provided by the user entering a username and password before the transaction can be completed successfully. The 3-D Secure authentication layer is known by several names depending on the card issuer. VISA calls is Verified by Visa, Mastercard calls it MasterCard SecureCode, JCB International calls is J/Secure and AMEX calls it as SafeKey. All these are implementations of 3-D Secure. The success or failure of the whole payment process involves several agencies, regulatory bodies and institutions. There is the acquirer, the Issuing bank, the payment gateway, the card-user (you, the client) and the vendor (ourselves). In the case of cards which do not meet the 3-D Secure criteria, it is rejected only when the transaction reaches CCAvenue.com. In other words, your order may appear to be successfully transacted but will be rejected by CCAvenue.com when it is post-processed. Your card will not be charged. Any debit made will be reversed. This has been a cause for unnecessary confusion as our payment gateway did not always inform the card-user or the vendor the exact reason for the failed transaction. We have since informed them to follow more clearer reporting of reasons for failed transactions so that our users know the causes and are not in the dark about it. The second mandatory requirement of our payment gateway is that the Address Verification Systems (AVS) compliance must be successful. This means that the system will check the billing address of the credit card provided by the user with the address on file at the credit card company. Please make sure you write the correct address in the payment screen which must be the same as the billing address on your card. If the AVS match fails, it will result in either your order being rejected or being sent to the risk management department who will then ask you for additional proof, or manual authorization, or require you to place the order once again with the correct matching address. The third mandatory requirement is to write the correct CVV number of the credit card. Lastly, the name on the credit card must match with the name as stored in the database of the card issuer. While this is not something an inidividual card-holder may make a mistake with, it is a common mistake made when corporate cards are used. The card holder's name on corporate cards must be exactly specified in the column meant for 'Card Holder Name'. I hope that this post will make it easier for all of our customers who wish to place orders for our products and services using the CCAvenue.com gateway. If you still experience difficulties while placing orders, please do let me know. We want to improve the end-user experience while placing orders from the CCAvenue.com gateway and would like to work with them to convey any experience you have to make it an easy smooth process for all of us. In response to my post about a 'no-conditions' upgrade offer for pre-V10 GeoTools users, I have received queries from readers who wanted to know about the new features introduced in GeoTools over the years. To make it easy for everyone, I have added direct links that take you to the online user manual which explain all about the new features that were added to GeoTools in all versions since V5. In a SPECIAL promotion, valid ONLY until the release of GeoTools V12, we are offering ALL our pre-V10 users of GeoTools to move up to the current (latest) version of GeoTools at upgrade prices. Our standard policy is to offer upgrade prices only between the previous and current version of GeoTools. Which means, only V10 users would have qualified to pay for an upgrade and move to V11. All others would have needed a full purchase. This special offer makes it possible for even a V1 user to move to V11 by paying just the upgrade prices. The special offer ends AS SOON AS GeoTools V12 is released. 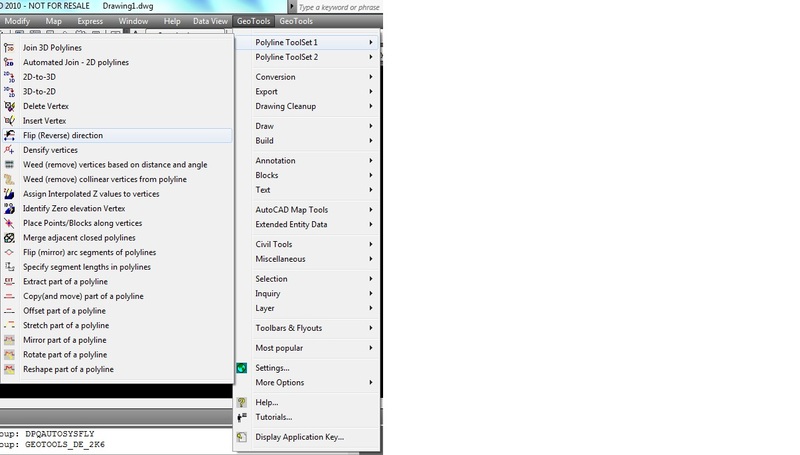 GeoTools V12 is ready for release and the official release could be any time after Autodesk officially releases AutoCAD 2012 (which is expected to be in the last week of March 2011). What do you have to do to avail this offer? Simply send us proof of your purchase and the number of licenses you own. If you cannot fish out the necessary info, send us your name and company name (if applicable) and we will try to locate you in our database. After that, all you need to do is go to our online webstore and place an upgrade order. The special offer price is valid only as a download-only order. In other words, we will not be shipping the GeoTools CD. To cover development costs and support the ongoing growth of GeoTools software, we will be increasing the list price of GeoTools by a about 10 % from V12 onwards. This is the first time we are revising prices of GeoTools prices since October 15, 2008. A single user license will then cost USD 219.0 instead of the present USD 199.0. If you have not made your GeoTools purchase yet, now is the best time to buy and avail the old prices. We are pleased to inform you that we have re-started accepting online credit card orders for purchase of GeoTools software and other services from us. Our new e-Commerce service provider is www.CCAvenue.Com based in Mumbai, India. processing of credit cards that our users have come to enjoy. We had to stop using our old online credit card processing company, CCNow.Com on February 15, 2011 because of regulatory reasons and issues that our central bank, the Reserve Bank of India had with CCNow Inc., an online merchant based outside India. 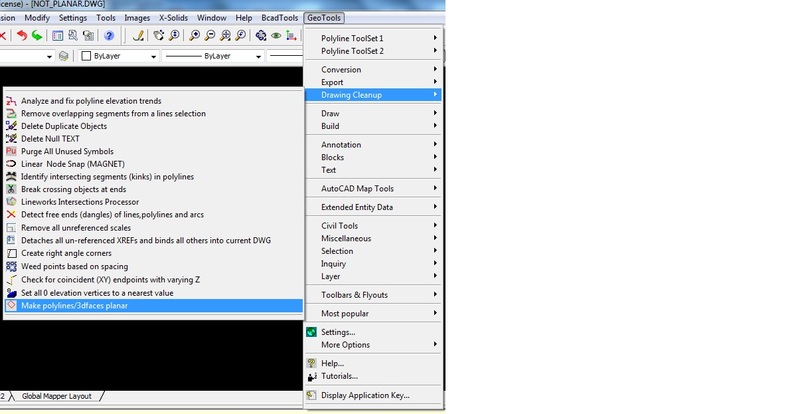 is completely compatible with AutoCAD commands, APIs and support files. is 20% of the AutoCAD price and with far more friendlier policies and relationships. is not just yet another CAD software to legalize your seats, now you can be productive and work with it as well on your mission critical projects. Why is this a milestone release? The new Platinum version of Bricscad V11 offers parametric, history-based solids modeling with automatic 2D view generation capabilities. With X-Hardware, a complete library of mechanical parts and fittings, supporting multiple design codes, is now available in a native CAD platform, out of the box, without the need for any add-ons. With Pro and Classic options for more modest tasks, the range of choice is complete – for your budget and requirements. More importantly, you can modernize, legalize and fundamentally lower your CAD cost at the same time. WhileIntelliCAD should be praised for the birth of many/all AutoCAD alternatives (including Bricscad), its technology was limiting in several ways. Over time, Bricsys has not only rewritten, but also improved all the shared code such that, with V11, Bricscad is now free of all IntelliCAD limitations. Consequently, you’ll notice major performance improvements on opening and saving large files and heavy graphics. Of special interest to geo-spatial users, Bricscad is the only AutoCAD-alternative that offers native support for high-end raster image formats like ECW and Mr. SID. Great news for high-volume digitization of satellite imagery.And you’ll get more compatibility with DWG and AutoCAD than ever before – including code-level API compatibility. With V11, Bricscad introduced a complete, AutoCAD-compatible application platform. As a result, the vast majority of AutoCAD-based customizations and applications will run on Bricscad after a simple recompile step. Furthermore, the Bricscad estore now offers over 180 affordable applications and tools – across AEC, Civil, GIS, and mechanical CAD. This means that teams can not only support customizations on Bricscad, but also choose from an expanding ecosystem of world-class applications. 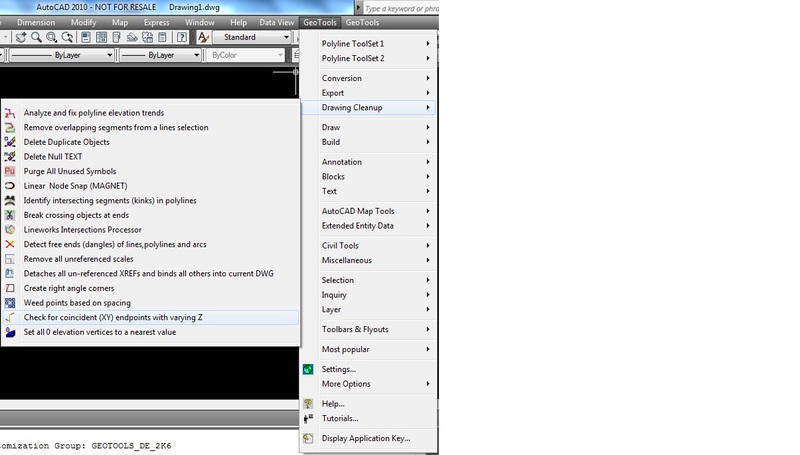 Is it an AutoCAD clone or look-alike? 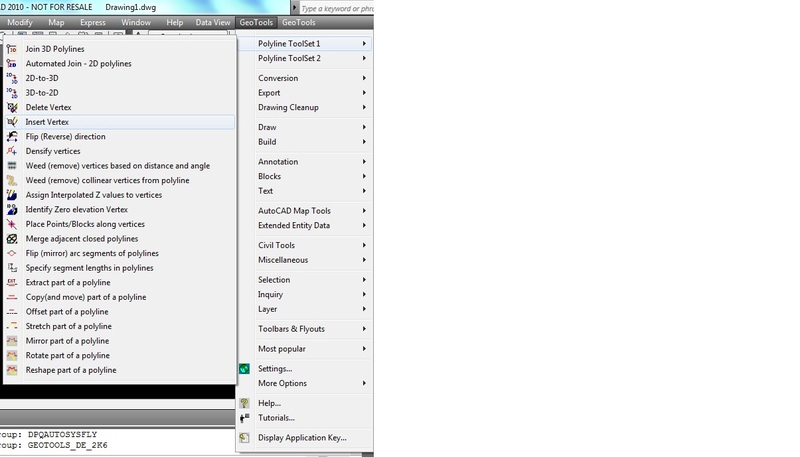 No, Bricsys does not believe in copying AutoCAD user interface blindly. The user interface is familiar, intuitive and pleasant. No cluttered icons or thick ribbons or complex workspaces eating up your drawing area real estate. What Bricscad offers is a 100% compatible environment for AutoCAD users that will immediate put them at ease and get going with the software. Yes, in several important ways, Bricscad is now better than AutoCAD. Enhanced selection methods, new sub-options to many existing commands, faster search based parameter settings and a whole new set of system variables allow finer and better control of the .DWG environment that is not possible in other CAD systems. Bricscad remains at less than 20% of the price of AutoCAD. And because Bricscad can efficiently run on a smaller hardware footprint (processor, RAM, disk space) than AutoCAD, it often saves managers from a forced hardware upgrade – adding to the savings. So, in essence, V11 gives teams much more stuff for much less cost. In fact, the majority of our users (and administrators) with experience in both products are reporting that they are as or more productive with Bricscad than with AutoCAD or IntelliCAD-based systems. Read the book at this URL: https://www.bricsys.com/en_INTL/home/news/b4a.jsp. © 2011, Coordinate Systems, No part of this blog may be reproduced without prior permission from Coordinate Systems. Coordinate Systems, based in Bangalore, is a reseller of Bricscad in India and the first Bricsys India representative office to be opened in India. GeoTools V 11.19 - Update released today. GT_INSVX (GeoTools -> Polyline ToolSet1 -> Insert vertex): Until now, you were only able to add a new vertex at a point on the existing segment of the polyline. The GT_INSVX now allows you to pick a point outside the polyline and a new vertex will be added at the picked location. The segment closest to the picked point will redraw itself to include the new vertex. GT_FLIP (GeoTools -> Polyline ToolSet1 -> Flip(reverse) direction of polylines): The GT_FLIP command has been made more intuitive, with clearer dialog descriptions. A bug has been fixed which affected 2-vertex polylines. Additionally, support for LINE objects has been added when 'High-2-Low' and 'Low-2-high' options are chosen. GT_ENDELEVCHECK (GeoTools -> Drawing Cleanup Tools -> Check for coincident (XY) endpoints with varying Z):The GT_ENDELEVCHECK command now provides an option to create a single 3d polyline from the joined objects. GT_3DJ (GeoTools -> Polyline ToolSet1 -> Join 3D Polyines): The GT_3DJ command now allows LWPOLYLINE objects to be selected as inputs. You can now provide a combination of light-weight, heavy-weight polylines as well as lines and 3DPOLYlines as inputs for this command.